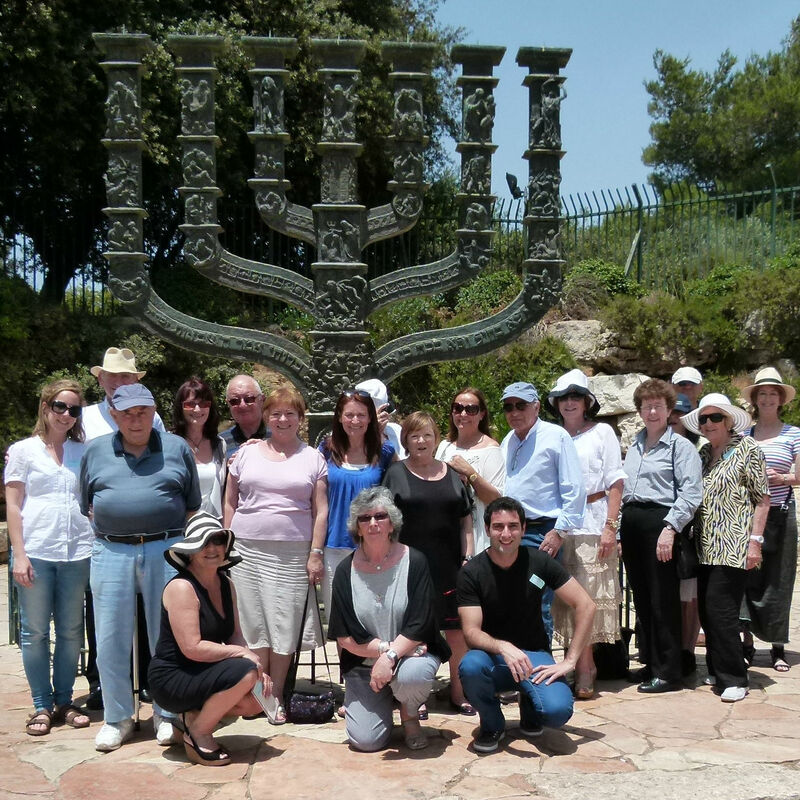 Following on the success of Tel Aviv University's 2011 and 2012 UK Living Legacy Missions, the 2013 tour was an engrossing and heart-filled experience for some 25 British Jews. Over nine exciting days, participants visited the university and traversed Tel Aviv and the wider country, partaking in a mix of intellectual, cultural and social events and activities. 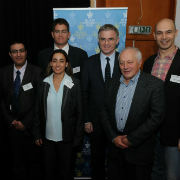 The idea behind the Living Legacy Mission – which was spearheaded by Geoffrey Simmonds of the UK – is that in return for leaving a bequest to TAU, participants are hosted on an intellectually stimulating trip to Israel with exclusive access to the University's most outstanding researchers and some of Israel's leading public figures. Organized by the Tel Aviv University Trust – Great Britain, the Living Legacy Missions aim to enlarge TAU's circle of friends and enrich the University's community of supporters, while also providing TAU the opportunity to honor the generosity of Legacy participants in their lifetime. From archeology in Beit Shean and desalination in Ashkelon to opera in Tel Aviv and Jewish history in Jerusalem, this year's Legacy Mission participants were exposed to the wide range of TAU and Israeli offerings. They met with top Israeli governmental officials, including the Minister for Agriculture, had exclusive access to important military sites, and attended a private meeting with the Mayor of Tel Aviv-Jaffa, Ron Huldai, who explained the challenges of running the vibrant metropolis. The mission also met with the Deputy British Ambassador to Israel, Rob Dixon, who discussed the special relations between his country and the Jewish state. A Shabbat dinner with Prof. Uzi Rabi, Director of TAU's Dayan Center for Middle Eastern Studies, was another highlight, providing the Legacy participants with new insights into the upheaval engulfing the region, as well as the opportunity to mingle with international graduate students in the field. In addition to their action-packed touring schedule, the Legacy participants took part in TAU's 2013 Board of Governors Meeting, including the Honorary Doctorate conferment ceremony and a luncheon with star researchers and students. 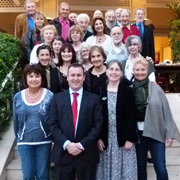 In recognition of the participants' support for Tel Aviv University, a ceremony was held at TAU's Cymbalista Synagogue and Jewish Heritage Center, where many spoke of their dedication to Israel, passion for higher education and commitment to celebrating the legacy of parents and departed loved ones. One participant, Godfrey Gould, spoke of how he hadn’t visited Israel, the country where he first met his late wife, for nearly 50 years. They vowed that they would spend their silver wedding anniversary in Israel, but she developed multiple sclerosis, and their dream never came to fruition. “Her Hebrew name was Malka — Queen — and now her name will forever be remembered on campus through medical research,” Godfrey remarked. Amos Elad, TAU’s Vice President for Resource Development, spoke of the Legacy Mission as a sound investment in the State of Israel, citing the critical contributions made by Tel Aviv University to areas of national importance such as cyber security and sustainable development, and thanked the participants for their generosity and commitment to the Jewish state. Following the moving ceremony, the 2013 UK Legacy Mission Honor Wall was unveiled by TAU President Joseph Klafter on campus in the presence of all the participants. For more information on the Living Legacy program, click here.